A charity that aims to make the River Eden a better place for people and nature received £5,000 from Moorhouse Grassroots Grants. Over the last 20 years, Eden Rivers Trust has delivered more than 360 practical projects underpinned by research, education and community participation, to protect the river and its habitat. 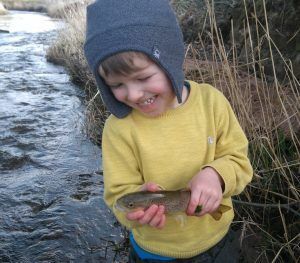 Funding was used to undertake a programme of surveys for juvenile fish in the Eden catchment, with the help of volunteers and angling clubs. In total, 40 sites were surveyed between July and October 2016. A number of crayfish surveys were carried out with volunteers, who were able to learn a new skill and collect valuable data that will give an accurate reflection of species numbers and trends in the health of the river. The results from these surveys have been used to form an action plan of where works need to be carried out to improve fish habitats. Local primary school children also took part in a field trip to learn about crayfish surveying. The children were then supported to carry out some riverside habitat improvement works, planting 100 trees. 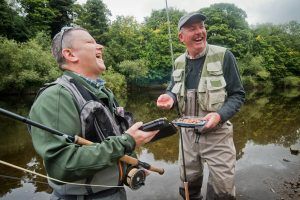 Karen Parr, Finance Manager at Eden Rivers Trust, said: “Engaging with volunteers and angling clubs helps create a greater understanding of the River Eden and the wider environmental issues. “The angling clubs have developed a sense of ownership of the rivers they fish on. They are now able to monitor sections of the river to ensure that any acute deterioration in water quality is identified and dealt with immediately.